In 2017, Mira Nair’s (Mississippi Masala, Queen of Katwe) Monsoon Wedding was voted by Indiewire as the best romance of the 21st century—with good reason. Filled with vibrant music, arguments, conversation, bright colors, flowers, and bottomless love, this is the joyful story of an Indian wedding between a bride (Vasundhara Das) with a secret and a groom (Parvin Dabas) who comes home from Texas for the four-day-long Bollywood-style festivities. 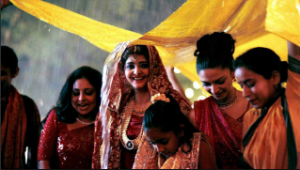 Welcoming repeat viewing, Monsoon Wedding still holds up as Nair’s true masterpiece, a film whose exquisite nature deserves to be taken in on the big screen.